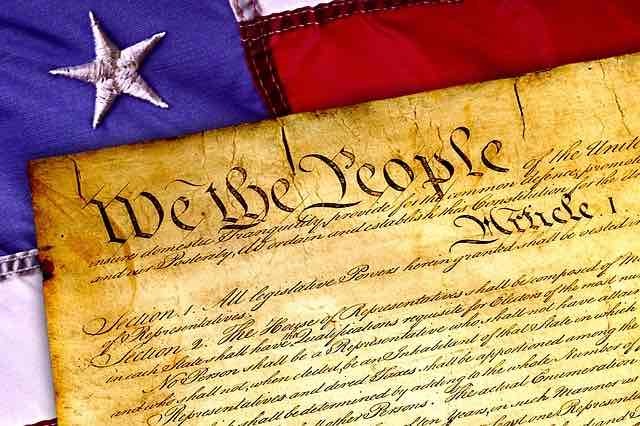 The U.S. Constitution is a thoroughly secular document, and it was intended as such by those who drafted it. This has long been a particular strength of our government. I often have difficulty imagining how any true patriot, regardless of one's personal views about religion, would not celebrate it. The language of the Establishment Clause, combined with the writings of Thomas Jefferson, make it clear that there is to be a separation of church and state in the United States and that the "wall" between the two about which Jefferson wrote is designed to protect both religion and government. Although some contemporary religious believers understand this, many do not. Of course, this part of the Constitution can be challenging to apply, as many cases test those in our judiciary who are tasked with its application. While many of us in the atheist community would like to see the gap between church and state widen, we must recognize that this is not always as obvious as it might initially appear. Most atheists in the U.S. who read the first prong of the Establishment Clause (i.e., that Congress shall make no law respecting an establishment of religion) will be torn between whether to laugh out loud or punch something. This makes so much sense and would be such an improvement for all Americans if our lawmakers and courts took it seriously. But alas, most of us can identify countless examples of how this part of the Establishment Clause is regularly violated. Christian extremists in both parties regularly try to rewrite history, dispute the intent of the founders, and/or simply ignore this part of the Constitution in much the same way they ignore many parts of their own bibles. This is typically the part of the Establishment Clause we atheists focus on, and our rationale for doing so is too obvious to require explanation here. What many of us find infuriating are the myriad ways our politicians have found to sidestep this part of the Clause. Examples are too numerous to list, but some of the more common involve passing resolutions, relying on informal practices and tradition, and arguing that it is only specific religious traditions which should not be promoted. The second prong of the Establishment Clause (i.e., that no law may prohibit the free exercise of religion) can be especially tricky. No sane person would argue that someone should be able to escape criminal responsibility simply by claiming that their actions involved a free exercise of religion. Imagine a religious cult using such an argument to defend human sacrifice. And yet, this is precisely the sort of claim that has protected countless parents whose children have died due to lack of medical care have made. Does this part of the Constitution suggest that we must excuse parents who allow their children to die of easily treatable illnesses because their religious beliefs run counter to medical science? Believe it or not, this is precisely how it has been interpreted in many courts! What about people who murder workers at women's health clinics and then claim that they were merely expressing their religion? Only a relatively small number of Christian extremists would argue that such people should be given a pass. The rest of us generally recognize that there must be some sort of limits placed on the expression of religion. How to do this without violating the Establishment Clause is often much harder than it seems.